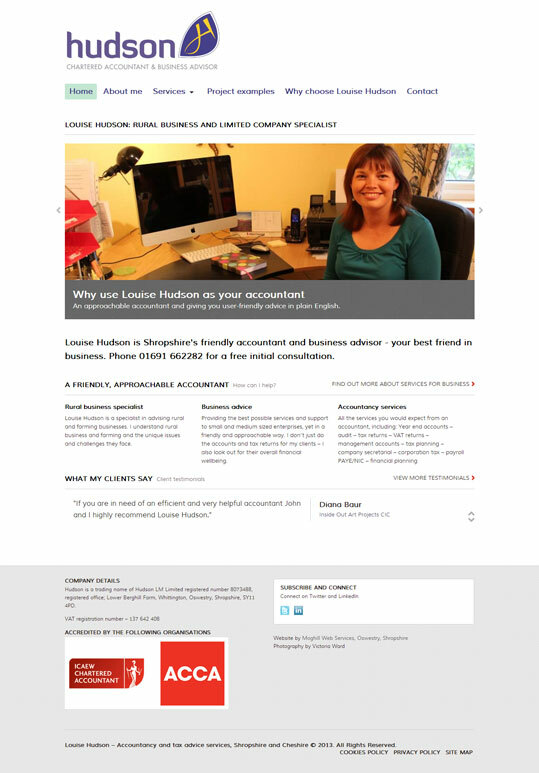 We were approached to build a website for a new accountancy practice set up by Louise Hudson back in 2012, and have continued the relationship ever since. Louise originally wanted a website that was simple and uncluttered as well as modern, and we suggested that she adopt the up and coming mobile responsive design that would allow her site to be viewed as easily on a desktop computer as it can be on a mobile phone or iPad. We took the time to understand Louise and her business aims so that we could produce a website that got the basics across without being stuffy in the way some accountancy websites can be. The website has also help win her business from major clients looking for specialist work. By 2017, not only had the original site started looking a little old, but Louise’s business had grown into a thriving practice with a full team, so we were called in again to revamp the website. We worked the existing site into a new, modern design, with updated content, professional photography, a blog, and an email newsletter. The pictures on this page show the original site, but if you follow the link below, you can see how it looks today.